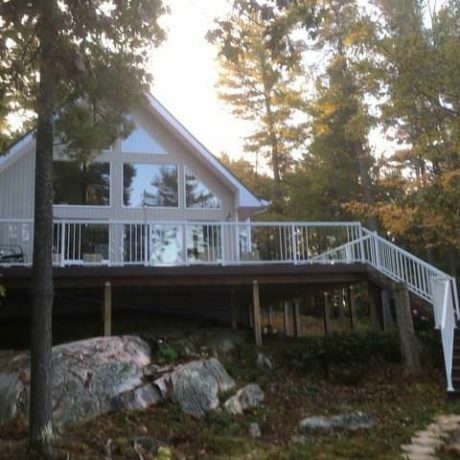 Georgian Bay, a collection of islands where the scent of pine trees travels on the crisp, clean air. It’s a panoramic world of timeless granite rocks, wind swept pine trees and sky framed by water so clear you wonder how it can appear blue. The west wind carries with it the sound of a calling loon or the bustling conversation of a merganser family. The sun sparkles on the water, disturbed only by a mink that swims by. Set among the 30,000 islands of Eastern Georgian Bay, The Ojibway Club is a summer community centre in Pointe au Baril, Ontario. 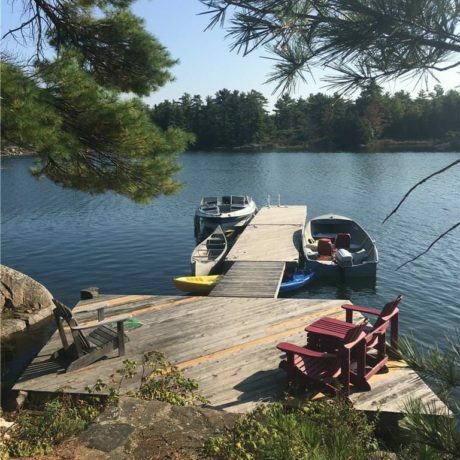 Accessible only by boat, the 42 acre island is just inside the outer shoals and is a few kilometers west of the mainland at Pointe au Baril. 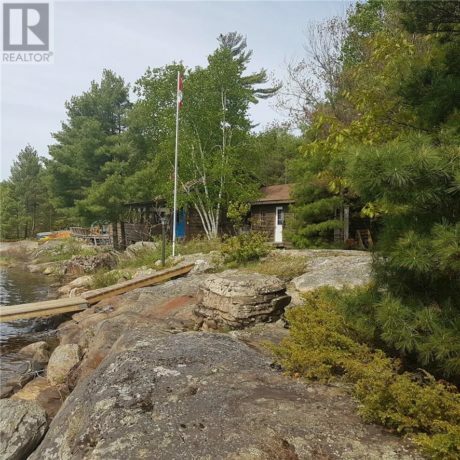 Pointe au Baril is located on Highway 69, 40 kilometers north of Parry Sound, Ontario. The Ojibway Club is where summer Islanders come together to play tennis or bridge or to walk the historic trails. They shop for food at the Grocery Store or pick up their newspaper and maybe a treasure at the Gift Shop. It’s where kids meet every morning for Ojibway Camp to sail, canoe, swim, kayak, play tennis and create arts + crafts. It’s where friends, old and new, meet for coffee on the verandah to take in the sweeping views of The Bay and where everyone flocks for ice cream cones on a hot afternoon. 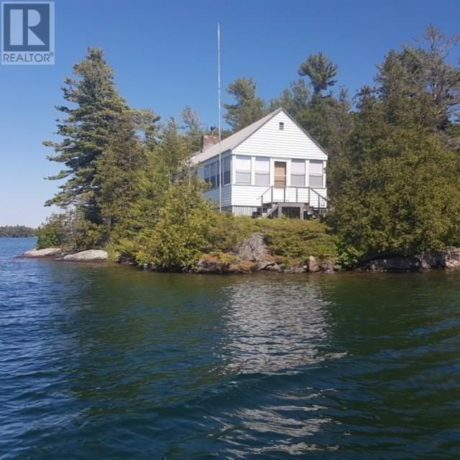 The Ojibway Club is the heart of the Pointe au Baril island community. It’s a place where lifelong friendships are formed and maintained and where multi-generations of family gather every summer. It’s a place where we create and celebrate summer traditions year after year. The Ojibway Club welcomes members, their guests and visitors to its facilities.